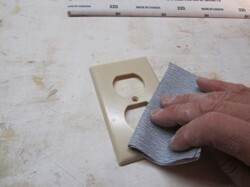 Discover how to Paint Your Electrical Switch Plates in this Project Guide. Match your electrical switch and outlet plates to match your wall color. This 16-page Project Guide shows you how to complete this job quickly and properly so you will get a smooth, long-lasting finish. Instant Download! You can have this great Project Guide SECONDS from now. 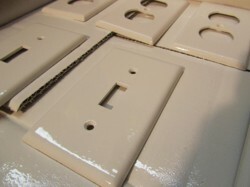 Click the button below to add the How To Paint Electrical Switch Plates Guide to your wish list.